In the Spring of 2014, a new MMORPG (for those who don’t know, a large, online role-playing game in which many people participate) hit the markets and was received with rave reviews and critics alike. The Elder Scrolls name has already been a part of the gaming community since 1994, with the release of The Elder Scrolls: Arena, a PC RPG. Subsequent chapters produced by Bethesda gained momentum, climaxing with the release of The Elder Scrolls V: Skyrim in November 2011. Since Skyrim, fans clamored for chapter VI, but Bethesda and Zenimax came up with a new idea. What if we revisited the land we loved (known as Tamriel) in the past and opened it up to playing with friends online? ESO did not disappoint. The Elder Scrolls Online begins in 2E 583, centuries and eras before Skyrim takes place in 4E 201. At this point in time, all of Tamriel is in chaos. A war is ensuing, with Cyrodiil as its main battleground. Three alliances have formed over Tamriel to fight for Emperorship, lead by 3 enigmatic leaders. The Bretons, Orsimer, and Redguard races have formed the Daggerfall Covenant. Still with conflict in their own ranks, the races of Altmer, Bosmer, and Khajiit form the Aldmeri Dominion. Finally, slaves are freed as the Ebonheart Pact forms between Dunmer, Argonian, and Nord races. As a new adventurer, you begin in Coldharbour instead of Tamriel, under the clutches of a Daedric prince. You find your soul to be gone, but you also find a couple of new friends that help you escape back to the world. As you enter a portal, you are thrown into the start of an alliance area, that you choose when creating your character. The races are bound to the specific alliances they fall under, though with the purchase of the Adventure Pack upgrade, you can play any race in any alliance. Once you awake, you find your first quest, and the journey to save Nirn begins. Elder Scrolls Online separates itself from other MMORPGs with its vast freedom to choose how you play. In the spirit of the original Elder Scrolls games, you may choose what class and skills you want to build without restriction to your race. Though each race does have a specific specialty (for example, Orcs have natural health and heavy armor boosts), you can be a burly mage that blasts through foes or the prettiest Orc healer there ever was. The choice is yours to choose what you play as and mix and match as you go, while you adventure, play against others, and/or team up in dungeons. 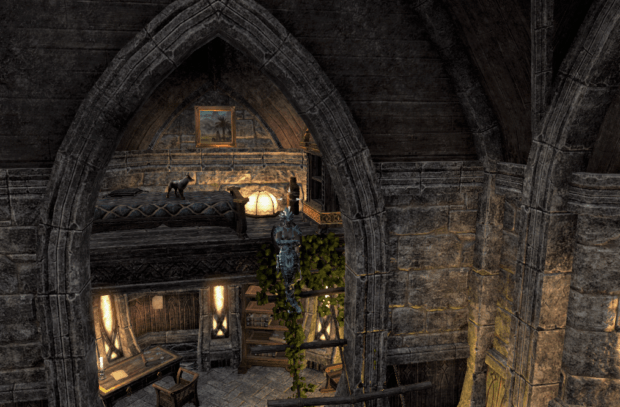 Fast forwarding past the mountains of content that has been added since ESO’s launch, February 6th brought the addition of housing. 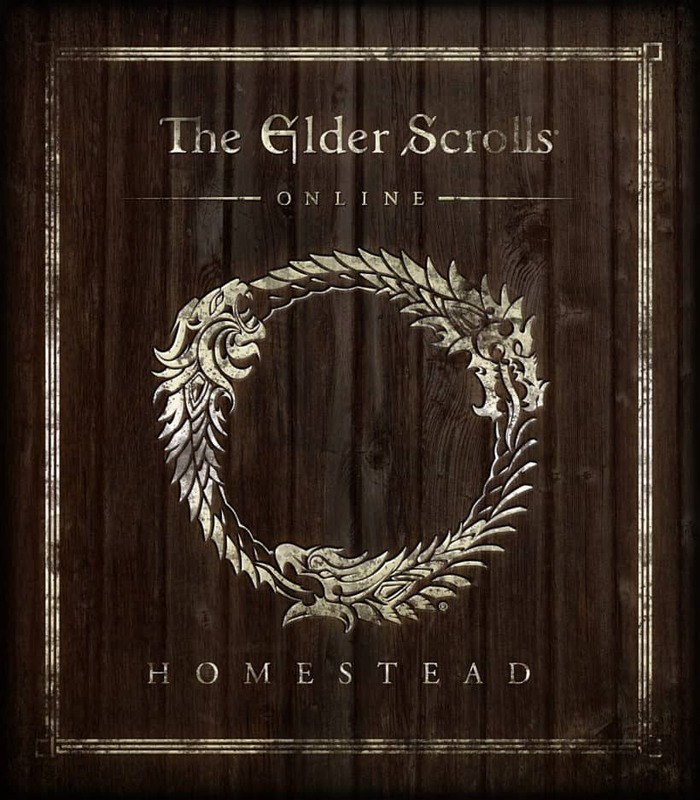 Homestead brought over 30 homes to Tamriel, all of which can be purchased and owned on a single account. Such homes can be purchased via Crowns (a fancy way of saying real dollars) or in-game gold. However, purchasing with in-game gold means that you must complete the associated achievement to buy it. But let’s back up to starting your journey to owning your first place. The developers have allowed your first home to be free of purchase by completing a simple quest for it. To begin that quest, A Friend in Need, go to the Crown Store and pick up your free handbill that points you Canthion. He is a housing broker that needs you to do something for him before the deed is yours. Once completed, your free inn room will be unlocked, and you will also be able to purchase other homes with gold, so long as you have completed the home’s associated achievement. Now, I will be real. The inn room is quite comical in size. It’s really a broom closet. However, a free room is a free room, and you will come to find that storage room for your furnishings will become a necessity. As clarification, the inn room you receive will be in the beginning zone of your character’s alliance. For example, as I am an Orc of the Daggerfall Covenant, my inn room is in The Rosy Lion in Daggerfall, Glenumbra. You say you need a couple other broom closets? You can purchase the other two alliance inn rooms for less than 5k without any zone achievements and have extra room for the junk you accumulate but can’t seem to get rid of. Before moving onto the details of furnishings, a few words on the varieties and sizes of the homes themselves. The 3 small inn rooms are an animal of their own. From there, you have 3 main categories- staple homes, classic homes, and manors. Within staple homes, you can find 13 options within the sizes of apartments and small homes. The apartments are basically slightly larger broom closets, 3 of which are available (one per alliance). It’s important to note that with an ESO subscription, you can place DOUBLE the amount of items in your home! 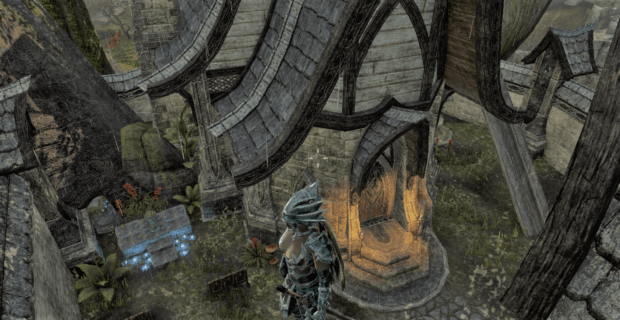 So where you can usually place 50 items in an apartment, having ESO+ allows you to place 100 items. The 10 small homes range in desirability, though a few are quite charming. 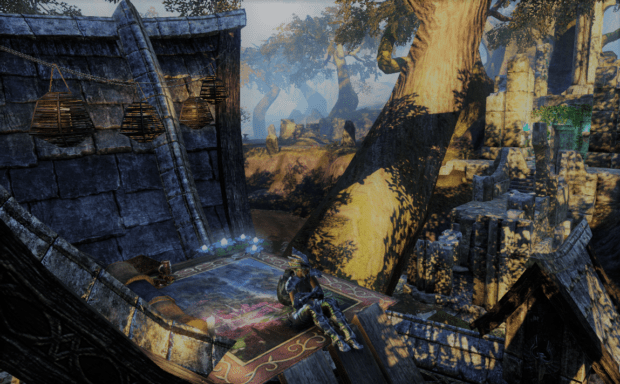 I personally own and adore Black Vine Villa in Malabal Tor, an Altmer style home that holds 200 items (with my ESO+) and has a small but still sizable jungle-themed yard. Another note is that there are a few Imperial style homes, like the Cyrodillic Jungle House in Malabal Tor, which can not be purchased with gold unless you own the Imperial Edition upgrade. Pricing seems fair for apartments and small homes. Apartments are 11-13k, and small homes are 40-73k. The one I mentioned, Black Vine Villa, is a very affordable 54k. Moving onto the next category of staple homes, you can own 10 medium homes and 10 large homes. The medium homes range in cost from 190-335k, and the large homes will hit you at 760k to 1.295 million. Now, prices on a few of these are somewhat eyebrow raising. Velothi Reverie, with it’s 3 floors and charming yard, makes sense at its 323k price tag. However, I feel that Gardner House, in Wayrest, is overpriced at 1.025 million. This large home has a puny, mostly stone yard, and although it has 3 floors, its architecture feels lackluster and ultimately not worth the massive amount of gold. Naturally, everyone will have their own opinion on styles and preferences. I simply feel the space provided does not merit the giant price tag. Finally, we reach the Big 3. The manors are as gigantic as they sound, and the price tag reflects it. They begin at 3.775 million and go up to 10k more gold. I do love that the Ebonheart Chateau is right by the volcano, but I find the Daggerfall manor to be a cut-out of Wayrest castle. Did I mention you get achievements and titles with home ownership and decorating? There’s more achievements for you overachievers. Moving beyond these homes, developers announced that in the future they will feature notable homes available for purchase only in the crown store. I have to raise a flag here, as not everyone has $80 or more to drop on an island (will be called Grand Topal Hideaway) in crowns just for a special home that also doesn’t have a roof raise on the number of items, despite the larger size. Even if the in-game price was 5 million gold, at least those players who did not have the real life money would still have a chance to own their own little island. 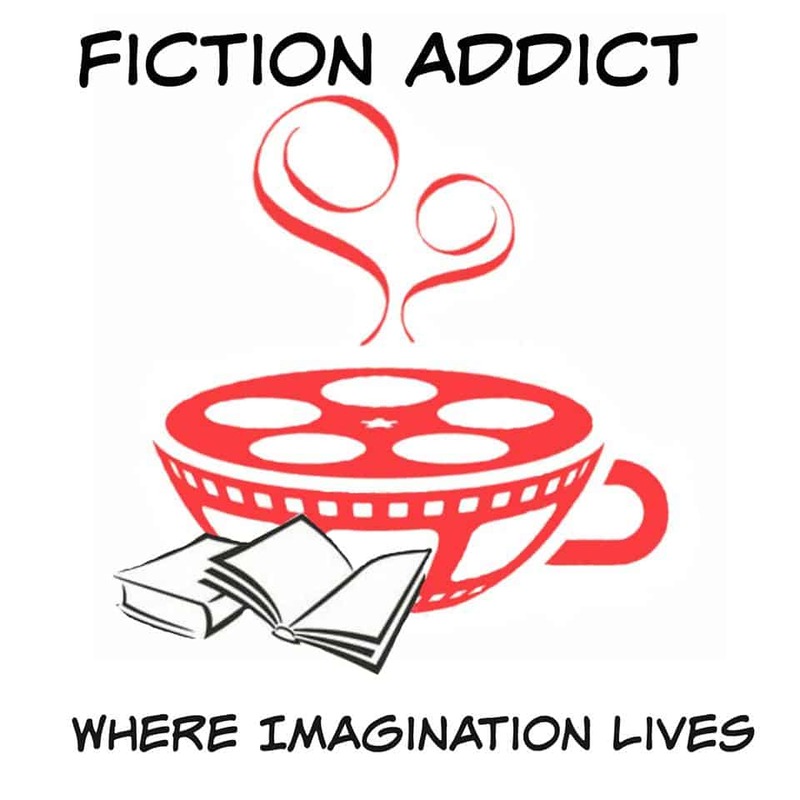 But before I ramble on forever, I’ll touch on furnishing. This is a very wide subject, so I will only convey my praise and concerns. I do love that items can be either crafted (much like provisioning recipes, for those of you who have played in the past) or purchased within a special crown store interface within your home. Even more, I love that you can sell and trade items you have crafted or patterns that you already know,a s well as find a few unique items in the world (paintings in chests rarely, fish while fishing rarely). As someone who has played the first 3 Sims, I also adore that I can toggle off the surface drag to place my items anywhere I please! I really wanted a balcony on my Black Vine Villa roof, so I used planks as a ramp, crate lids and a rug as the base, and placed pillows and a few food items on it with string lights between the gables. This kind of customization puts me over the moon with excitement. Some items can be purchased from a vendor, and are often specialized by achievements. For example, once you gather all the skyshards in the main alliances, you can buy a replica skyshard that can be “turned on and off.” Little details like this make achievements more worthwhile than just for dyes or titles. I do protest the cost of some achievement items. While some people do have an extraordinary amount of time on their hands to grind for gold, not everyone can shell out 10s of thousands of gold for items. The anchor pinion is super awesome, but 100k for it? A teensy bit excessive. Reviewer note: This is for the online video game, Elder Scrolls Online, that we previously discussed. An email will be sent as well with a few screenshots that you can add that relate to this specific patch expansion, if you’d like. To reiterate- this is not for a book; this review is for a video game. * M-rated games are intended for players who are 17 or older. They can contain blood and gore, sexual content, strong language, and “intense” violence. The ESRB hasn’t published their rating of ESO to the public yet so we can’t be sure what exactly led them to dole out the Mature rating.